Mission Vision: A world where everyone has a decent place to live. 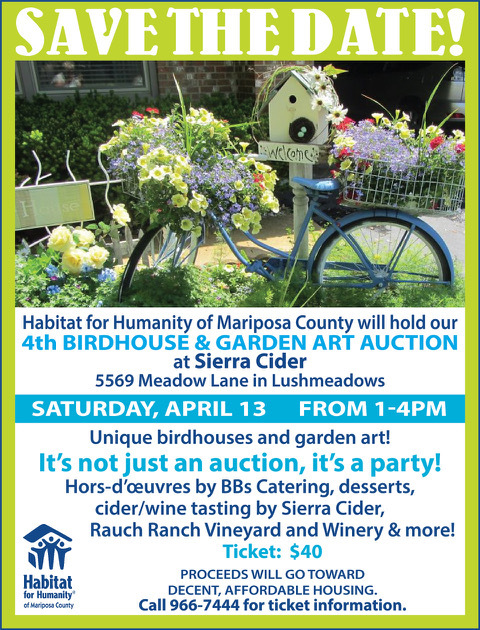 Habitat for Humanity of Mariposa County is a strong proponent for safe, decent, affordable housing. We are a Christian ministry and we invite all people who share our goals to join in our work. Families who want to apply for a Habitat for Humanity home must be residents of Mariposa County for one year before applying. Applications are available only at a Family Selection Orientation meeting. The date and time are advertised ahead of time. If you would like to apply for a home, you may call the Habitat office at 209 966-7444 and ask that your name and contact information be put on a list of prospective Habitat homebuyers. We will contact you about the Family Selection Orientation meeting date and time. It is required that you attend in order to apply for a home. Once you have been selected, your home will generally be completed in 6 to 8 months. 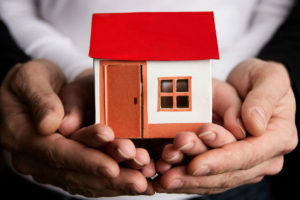 Since you will be a homeowner, you will be required to insure your home and pay property taxes. Your monthly payments to Habitat during the time of your mortgage will include an amount for insurance and property taxes. The total payment may not exceed 30% of your monthly income. Habitat has a Family Support Committee to help you during your first year of home-ownership. In addition, Habitat homeowners are asked to continue their support of Habitat during the years that follow their selection, and, to date, our Habitat families have been happy to do this. They have expressed on many occasions what homeownership means to them and their children: more stability, more feeling of community, and pride of ownership. HFH of Mariposa County encourages you to apply when applications next become available. Again, our number is 209 966-7444.